On Saturday ELEVEN music show The Loop will mark its 250th episode. 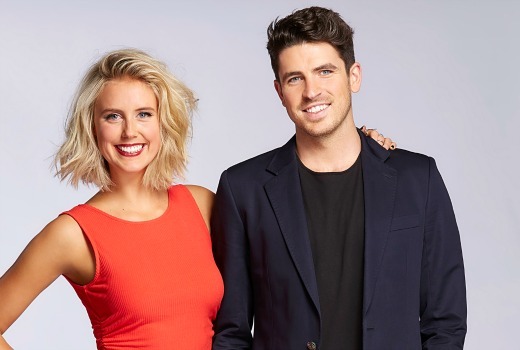 Host Scott Tweedie and Liv Phyland will front a primetime special that looks back over nearly 5 years of episodes. In a music television event, The Loop will create a playlist of the greatest music videos of all time. Viewers will have the chance to request their picks via Facebook for the seven days before the episode goes to air. As well as the best music playlist in Australia, this special event will look back over the past 250 episodes of The Loop, featuring goof reels, funniest moments and clips of the best interviews and live performances. 250 episodes is amazing! I posted about it in the TV Lounge section. Hopefully former co-host Ash London will make an appearance. I’m surprised The Loop doesn’t come on Sunday mornings. What’s the difference between the 9am and 6pm shows? Oddly at the same time VH would have celebrated 30 Yrs on TV coinsidently ARIA also celebrating 30 yrs. i cant remember the last time Video Hits had aprimetime special celebrating their time on air. All of those specials were in the morning timeslot. I know that The Loop is on a multichannel but considering how long VH lasted almost quarter of a century TEN should have put it in prime time for its last ever ep. I will tune in though. IMO still prefer Video Hits. The Loop will always be a reminder that VH shouldn’t have been axed just restrustured. Therefore those excuses by David Mott were crap. I think you will find it was Murdoch’s cost cutting that caused the axing of video hits after 25 years. Many things that we’re competition to his Foxtel got the axe on ten under his control like video hits, morning and late night news and AFL. ten today is still recovering from his cuts. And my never recover.